I stand on the edge, looking down into deep water. Is it colder in there than it is here on the deck? There are a lot of bodies around. Who’s nervous? asks one of the coaches. A few hands go up, eyes catch each other’s glances in recognition. It’s going to be fun! he enthuses. I notice he is not in swim gear. Who says that: ‘It’s going to be fun’? Everyone says that. Nervousness and excitement are the same emotion. I’ve made it to my first official group swim practice. I’ve done masters group swims years ago but it was nothing like this. It all seems so tame in comparison: there are probably 40 bodies here and once we get in the water it feels like a feeding frenzy the way the water is churned up. It’s like each swimmer creates their own personal vortex. I often choose my swim times when it is least likely there will be others. I like the feeling of calm water where I can control the amount of disturbance. Here it feels like I am battling white caps each time I try to take a breath. I am moved from the beginner group to the intermediates before the warm up is finished. “You’re with us” says one of my shark colleagues. I comply. After a few laps it gets easier. I get my breathing settled. I remind myself that this is a workout I could have done last week and it’s just water. I move into another lane to reduce congestion and get into the back-and-forth of the rhythm. The hour goes quickly. It was probably closer to 50 min. I finish the workout and completely ungracefully make my exit. I climb up the starter blocks and get stuck half way up, my belly not quite at my center of gravity and my feet kicking uselessly in the air. The guy beside me is too tired to even notice. I don’t consider myself a swimmer, but maybe that’s not the point. The same argument goes with runners: you don’t have to race, or run a certain pace, or be able to run a certain distance. 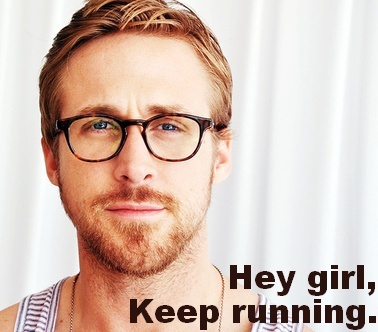 If you run, you are a runner. I swam. I don’t know how many different opinions I’ve heard in the last few weeks regarding my foot. Usually the ones I agree with are the ones I remember. My foot is not better. It is better than it was, but it’s hit a plateau where you can see the horizon for miles and it’s just a mirage where (complete pain-free) reality starts. 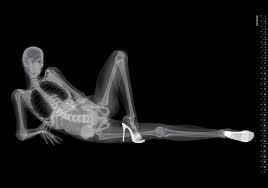 I’ve had bone scans and x-rays where one or the other alone would have come up with wholly different results. And after practitioners with many years of medical worth poured over my foot photos, I have Freiberg’s disease. Freiberg’s is a progressive situation. It begins when (unknowingly) you lose blood flow in your metatarsal bone. The bone then loses durability and during activity starts to hairline fracture. The continued activity can lead to the bone becoming malformed and — in my case — you get a square stump trying to fit in a round joint. It would be funnier if it wasn’t painful. It usually happens in adolescence (which is a few generations ago for me), and if you get (as I’ve coined it– “later-onset”) Freiberg’s disease as an adult, you’re almost sure to be female. The 50/50 odds were not in my favour this time. The surgeon I saw listened carefully to how I described my 9 month history. I felt like he understood my plight and his nodding lead me to trust he was going to give me a positive outcome with a definitive timeline. 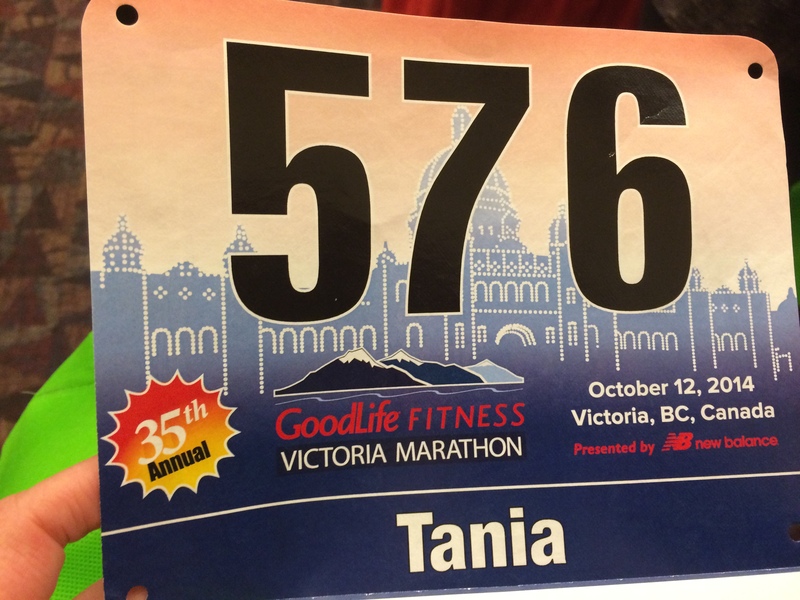 But he told me that marathons, half-marathons or any longer distance running was out of my future. When I asked if I could cause further damage if I ran in pain, he said that I shouldn’t be running at all. I didn’t hear much after that. There must be a bone in here … somewhere! Naturally I have options, but no one is sure which one will pan out. Surgery is a last resort. I am getting custom orthotics to alleviate pain in my metatarsal arch when I walk. I’m trying different shockwave treatments in the hope that it will help mend my bones a little stronger. Shockwave is much like having a jackhammer at full throttle caress your foot: the hope is that you will find the most painful situation and then endure it. The greater the pain the more likely it is you are treating the weakest area. I do miss running and want to get back to it. I may never run a 50km race, but I still crave the endorphins, the suffering, the elation of moving forward on only willpower that running brings. My swimming is improving and I’m starting to feel sore and fatigue as though I’m actually doing something, but a swim cap is not a replacement for a running shoe. Who knew one little bone could be so funny?